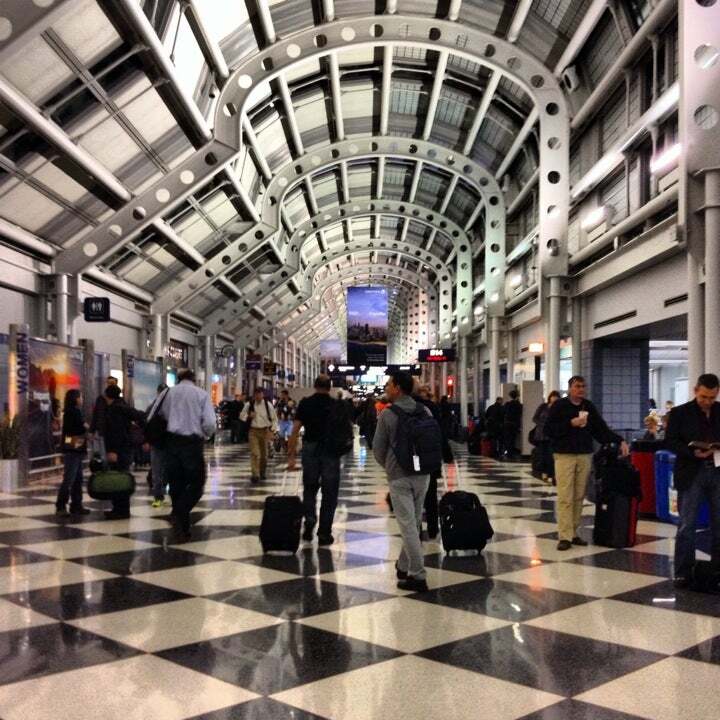 Chicago O'Hare International Airport is major airport located in Chicago, United States and serves domestic and international flights to 1870 different destinations, connecting Chicago with North America, Europe, Asia, South America, Oceania and Africa. The most popular destinations to fly to from Airport are Minneapolis-Saint Paul International Airport, Atlanta, San Francisco, Los Angeles and Detroit Metropolitan Wayne County Airport . The longest flight you can take is to Indira Gandhi, International Airport, Delhi (16:00 hours) . Carriers such as United Airlines, American Airlines and Aer Lingus have regular flights to and from Airport. It is also an international/domestic hub for American Airlines, United Airlines .